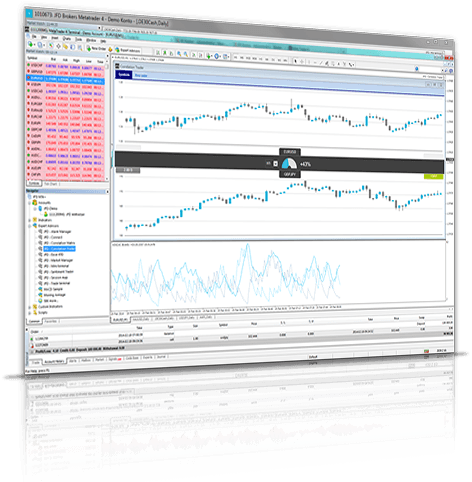 Our enhanced versions of MetaTrader come loaded with exclusive proprietary and institutional-grade add-ons, designed to make your trading smarter, easier, and with increased performance. 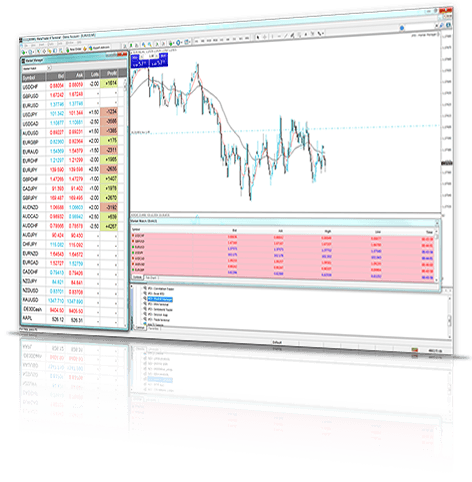 MT4+ and MT5+ are the ultimate platforms for the sophisticated trader, allowing you to diversify your portfolio and optimise all your trading activities. 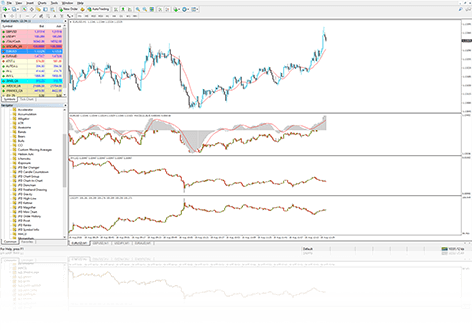 The desktop versions feature a variety of Indicators and Expert Advisors, as well as the full range of JFD’s trading tools. 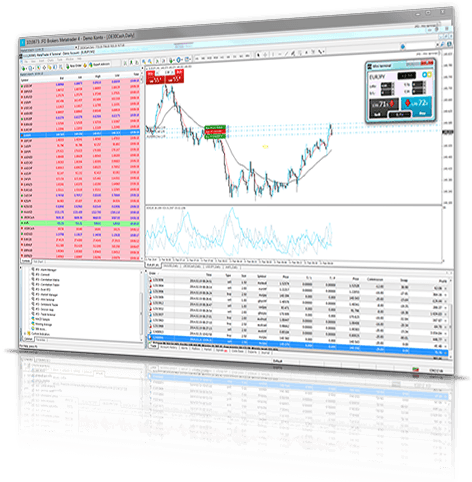 With JFD, you get access to our exclusive Add-Ons packages, which are packed with tools designed to improve your trading experience. 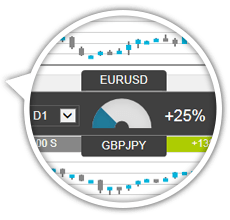 The packages are available for both demo and live accounts. 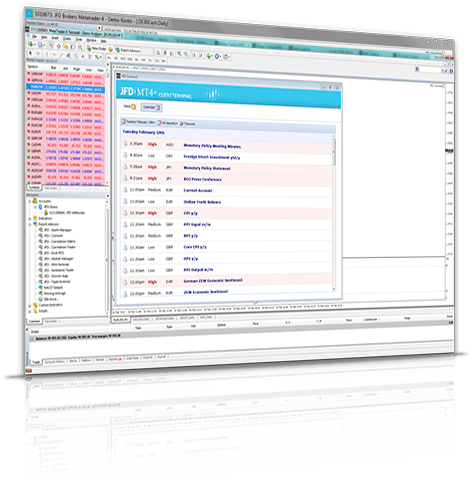 If you scroll down, you will find descriptions for all featured Add-Ons, along with links for downloading our User Guides. 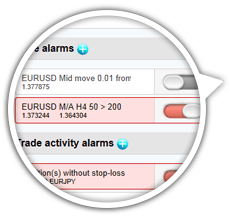 Don’t Have a JFD Account? 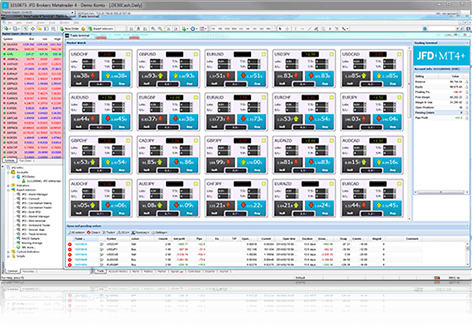 Monitor and place orders on multiple instruments available at a glance. 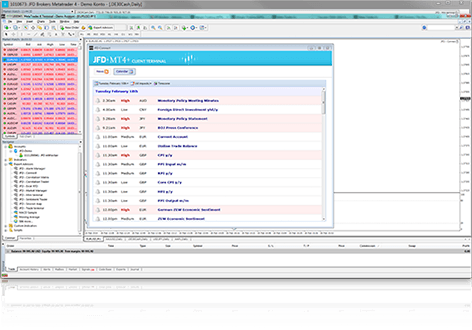 When it comes to managing open positions, this Add-On is really useful, allowing you to multitask within a single frame. This is where convenience meets effectiveness. In a compact window, the Mini Terminal enables you to do all important trading tasks in the blink of an eye. Placing orders, changing their parameters (e.g. Stop Loss and Take Profit), creating order templates and general order management has never been so easy. 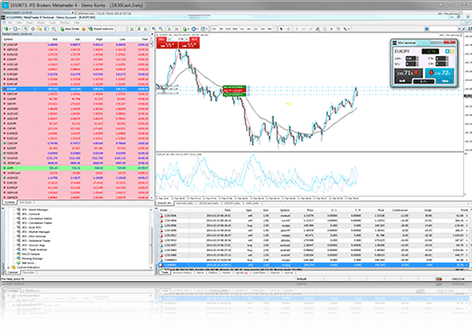 Set or amend Limit Orders, as well as Take Profit and Stop Loss limits in a fraction of a second, directly on the platform’s charts. 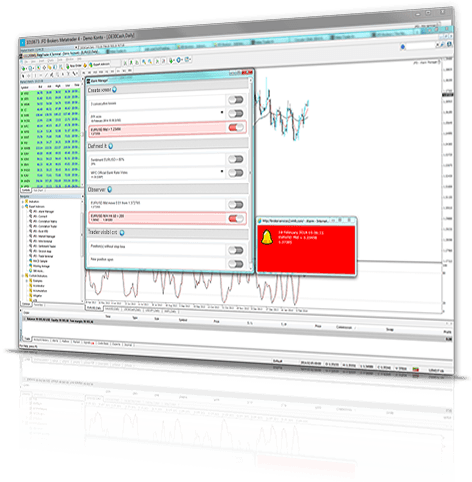 The Chart Trader is particularly helpful in fast moving situations when quick reactions are a crucial factor to success. 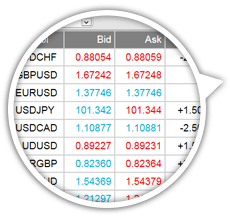 Build your own analytical trading dashboard using the Excel RTD Add-On. 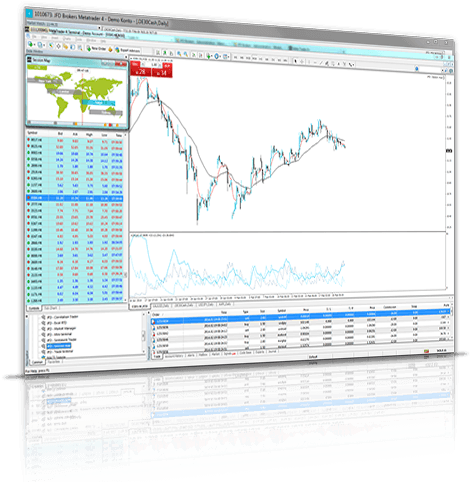 This useful tool enables you to receive real-time data in 3 different pre-set Excel spreadsheets displaying important information, including account equity and balance, incoming ticks, instrument prices, consolidated lists of open positions, and more. 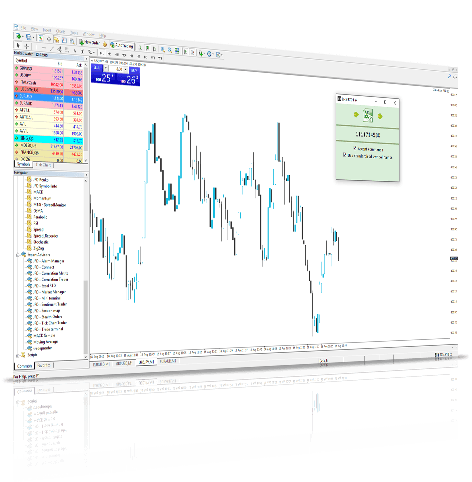 You can further customise these spreadsheets using Excel’s RTD() function, and send simple trading commands from VBA code in Excel. 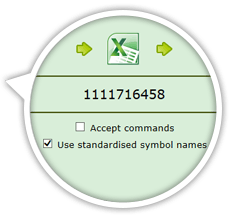 Additional commands are available in our manual and you can download the spreadsheets below. 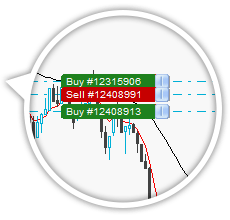 Apart from placing pending orders, you can now also set entry and exit levels for your positions that will also remain hidden from the market. 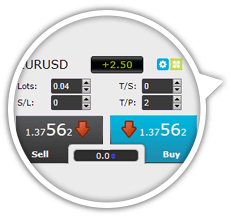 Once the respective price levels are reached, the Add-On will place your buy/sell orders. 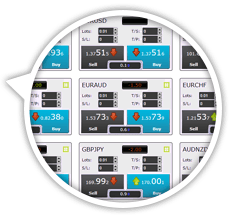 It can also automatically close multiple positions (even all orders in your trading account) if their combined profit reaches a certain threshold, defined by you. 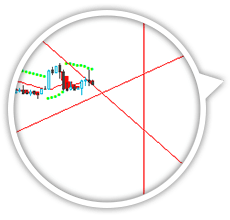 Stealth Orders can be a useful addition to any complex trading strategy. 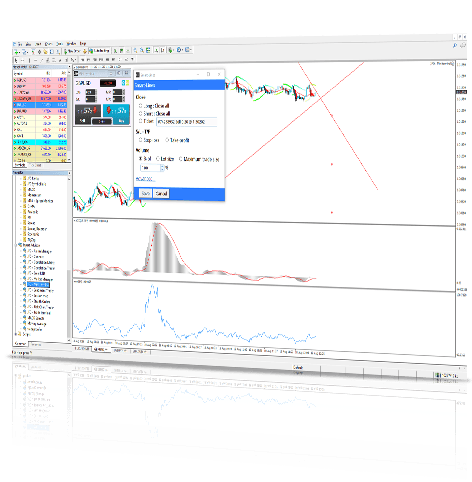 Trade quickly using your keyboard or mouse right from the tick charts in your terminal. 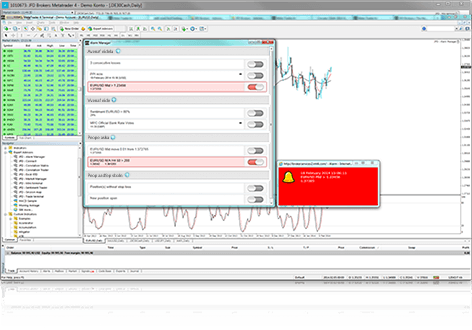 The Tick Chart Trader Add-On shows tick charts (compiled from the time that it started running) in a variety of styles providing extra-fast position entry and exit, on a “First In - First Out” (FIFO) basis. 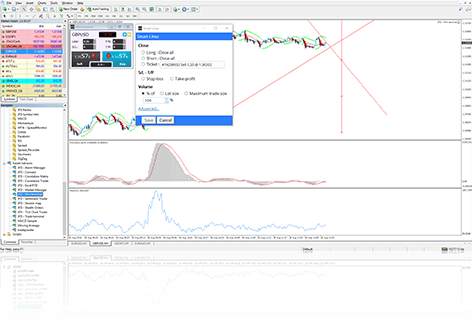 You can choose among 5 chart styles – tick charts, tick speed, timed charts, tick candles and “versus” charts, all of which have unique, useful features giving you a comprehensive tradable overview of the symbol prices. Take advantage of the collective mind while crafting a trading strategy. 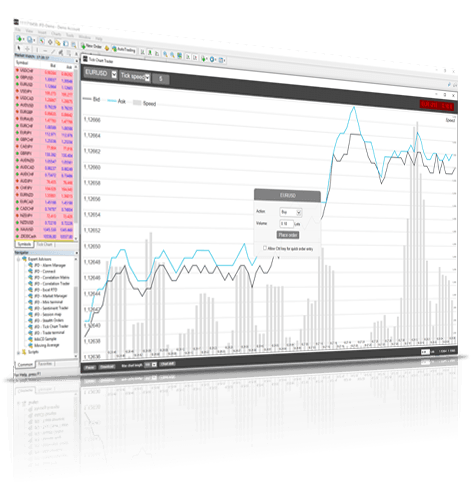 This tool provides invaluable information about current and historic long/short sentiment, i.e. the percentage of traders who currently have (or had) an open buy or sell position on a symbol. 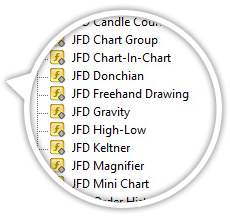 You will get a feeling of the popularity that particular instruments have within the JFD trading community. 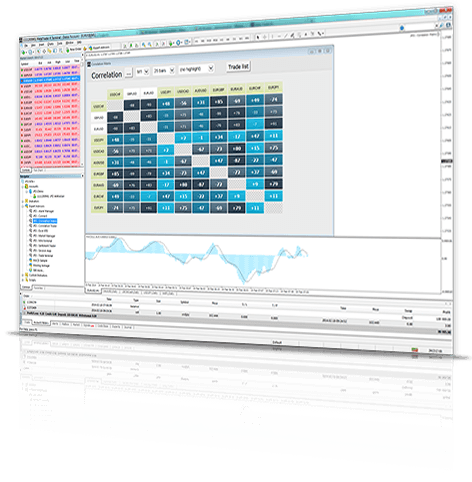 Identify symbols with strong or weak, positive or negative correlations, and fine-tune your trading strategies according to emerging differences in the analysed variables. 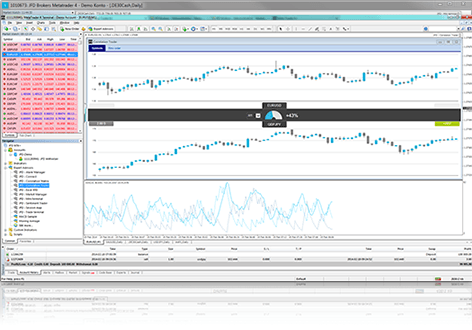 This must-have tool shows the correlation between symbols over a configurable time frame. Get notifications about events on your account and in the market, take automatic actions when such events occur, and send automatic updates to your followers via Twitter, email or SMS. 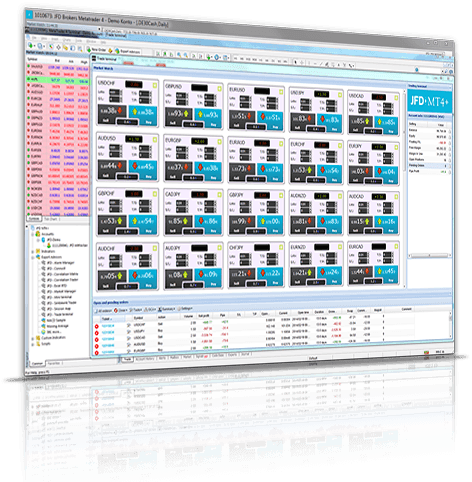 The Alarm Manager helps you focus on the creative and/or analytical side of trading. 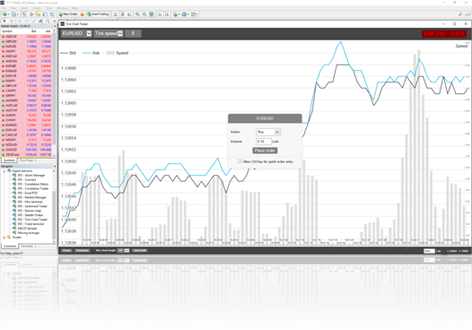 Notice future news events and receive information about your floating P/L and equity as well as price activity during the core trading hours when institutional dealers are most active. 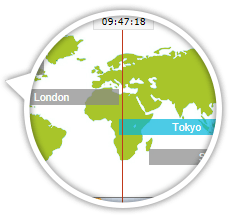 The Session Map shows your local time in relation to the trading sessions. 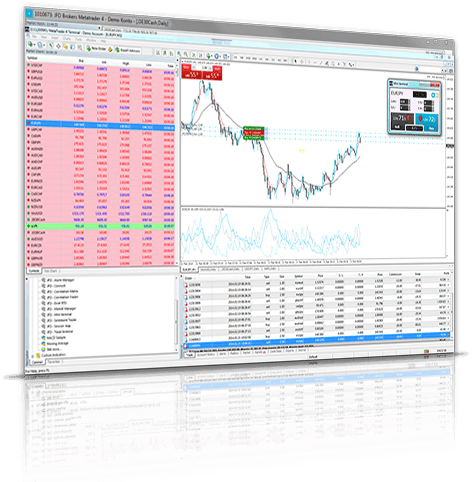 Bring a solid statistical foundation to your trading strategies. 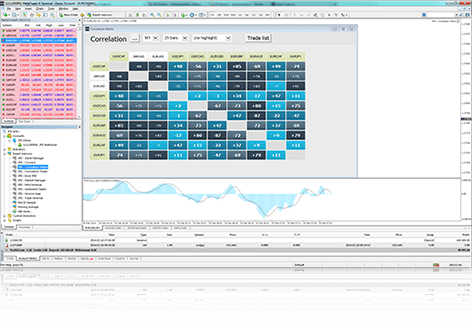 This powerful Add-On shows (in grid form) the correlation between symbols over a configurable timeframe and number of bars. 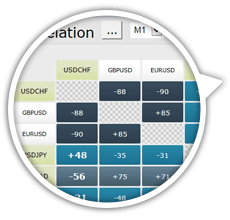 The correlation has a significant impact on mitigating the trading risk. Make informed and sensible investment decisions by staying updated with the latest fundamental news and technical analyses sourced from JANDAYA, through a diverse range of custom RSS feeds, and JFD’s award-winning proprietary Research (Market News & Analysis). 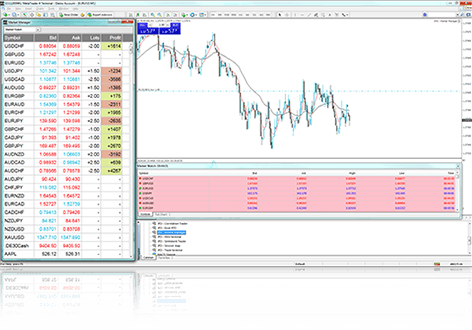 Get an overview of all open positions enhanced with a trading functionality (opening, modifying or closing orders). 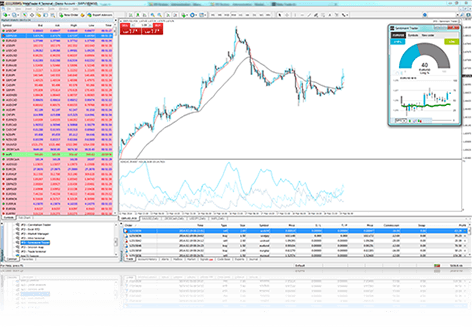 The Market Manager highlights information about your account such as equity, balance, margin usage, allowing you to see the big picture for particular trading activities. 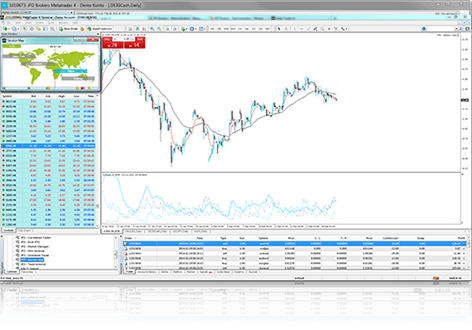 Add a competitive edge to your technical and fundamental market research analysis skills with this comprehensive package of custom indicators (including Pivot Points, Renko bars, Candle Countdown, Gravity and many others) developed to serve your ever-growing needs for advanced trading tools. 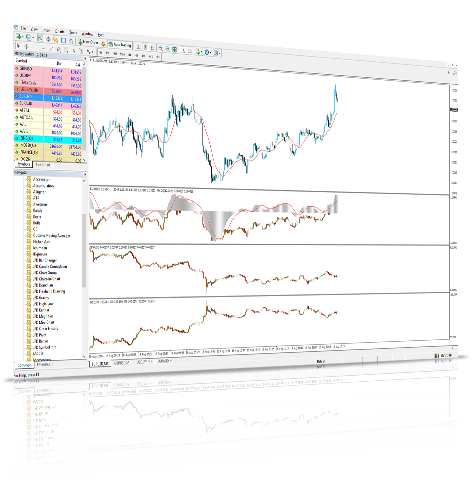 Transform your charts into powerful and diverse professional screens with actionable insights for finding new trading opportunities. 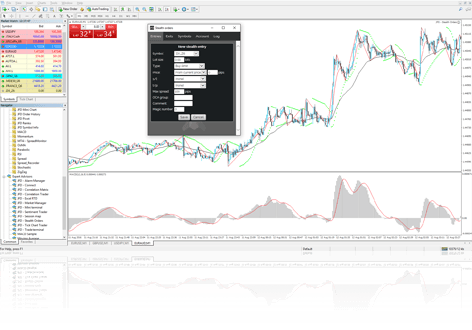 *Can be found under the Indicators group in the Navigator window of your terminal. Have you ever wondered or tried to put yourself in the shoes of a professional trader? 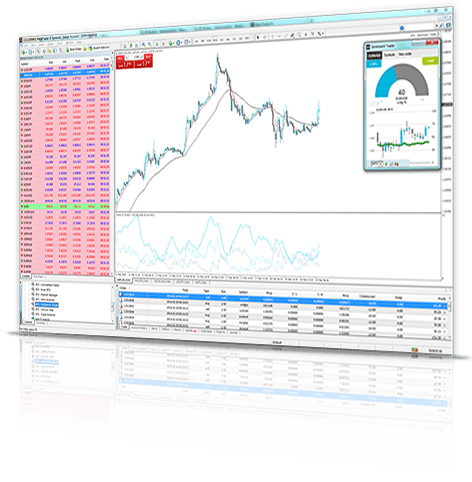 The Multi-Screen extension will bring your trading to a new level – in line with the most advanced investors. 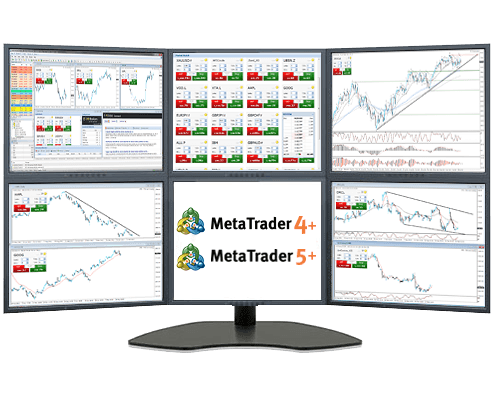 You will be able to create your own Multi-Monitor MetaTrader experience undocking charts, newsfeeds or the Trade Terminal. 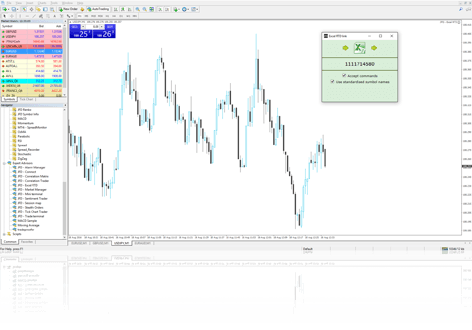 Download the Trade Terminal or the Mini Terminal User Guide the Mini Terminal User Guide for detailed instructions on how to enable the Multi-Screen Trading functionality.